Handbags were originally nothing more than sacks made of leaves and animal hide. Egyptian hieroglyphics depict men, not women, wearing them about their waist to hold flint and money. Peasants wore fairly large bags that carried seed, while gentlemen’s bags carried pomanders to mask bad environmental (or human) smells. These sacks were actually pockets attached to the girdle with a cord. The risk, of course, was that a thief, known as a “cut purse,” would slash the string and steal the bag. 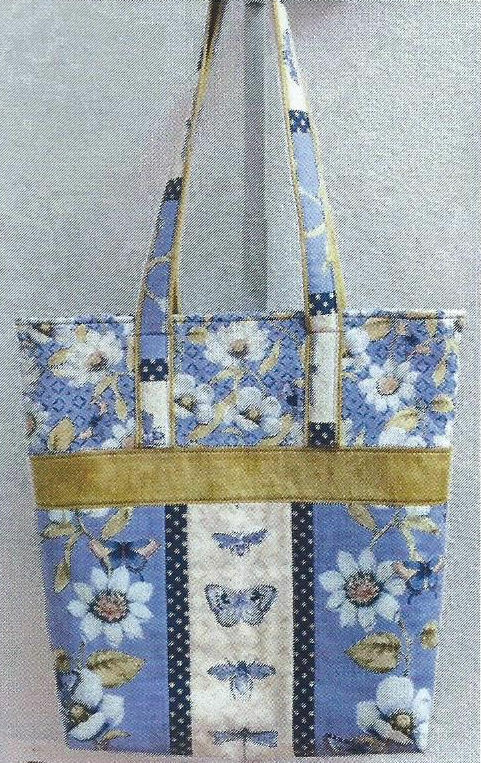 By the Middle Ages, both men and women began wearing bags as a sign of affluence. Fashioned of the finest silks with tasseled strings, embroidery and jewel decorations, they represent the first designer bags. These early designer bags continued to be fastened to the outside of garments, but the really wealthy hired servants to carry their bags for them. Eventually, however, women started wearing bags beneath their dresses, and men ceased wearing them altogether because inside garment pockets were developed for their trousers. As fashions changed and women’s skirts clung more closely to their bodies (especially during the Regency period), it became impractical to wear a bulky bag beneath the fabric. In the 1800s the first real handbags–purses intended to be carried by the hand–emerged. These were practical purses, or reticules, that carried perfume, smelling salts, a fan and visiting cards. It is interesting to note that 100 years later, men and women once more were using handbags, but men’s handbags were actually luggage bags that looked like today’s briefcases, and women’s handbags were feminine versions of the same bag, with compartments for women’s accessories. These bags were made from metal and leather until World War II, when a shortage of these materials led instead to the use of wood and plastic in handbags, and eventually to many other types of materials. 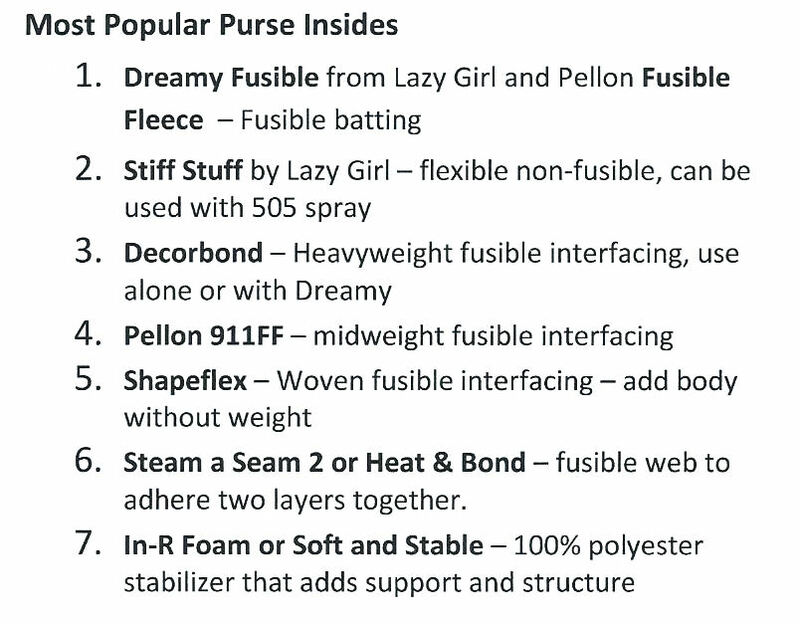 Today’s handbags are made of all of these materials, but also include many types of fabric from rough burlap to the finest silks and velvets, synthetics, natural and manmade fibers, and faux animal skins. 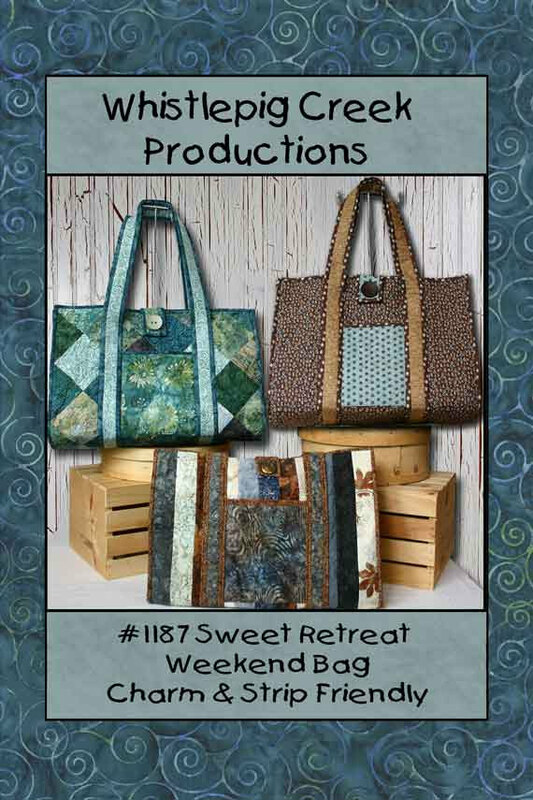 Nearly all bags are suited to specific occasions. 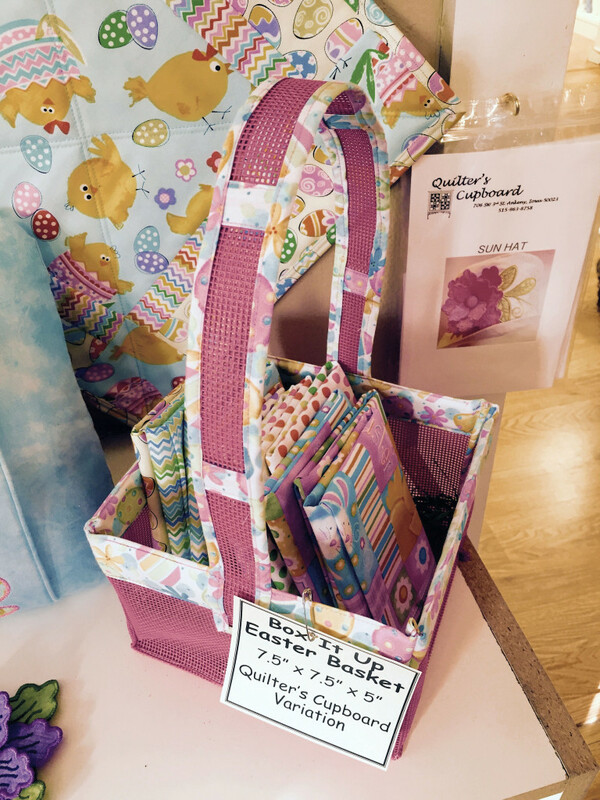 There are designer bags that match a formal event such as a gala or a wedding, power bags for the business woman (or man), tote bags for the shopper or yarn enthusiast, book bags for the student, and so on. 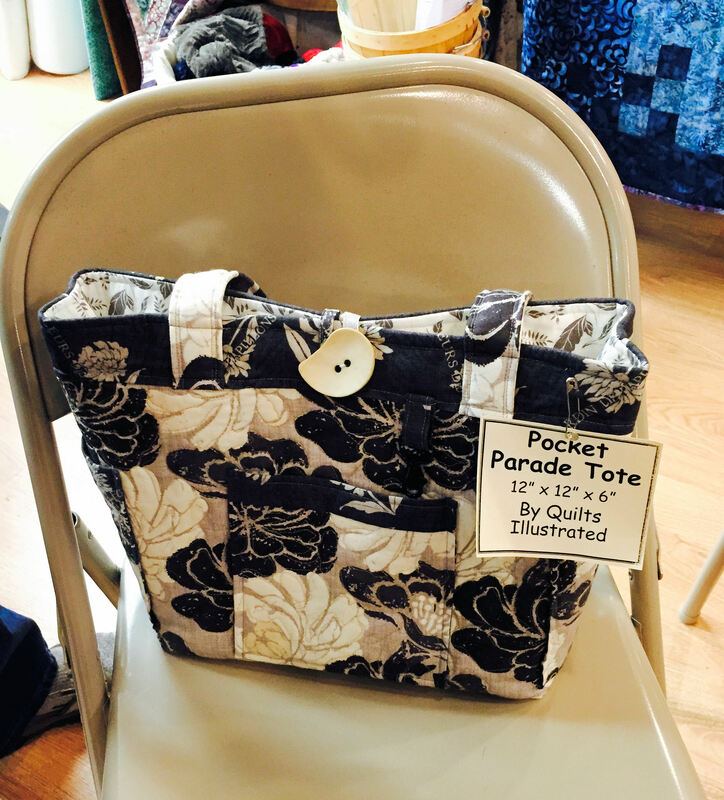 In some ways, handbags have come full circle. The bags worn once exclusively around the waist have become today’s fanny packs, shoulder bags and backpacks, and are worn by men and women alike. Some bags are for show, others are used on the go, and multi-functional ones go “with the flow.” Illustrating this diversity are BBEST team members’ bags. 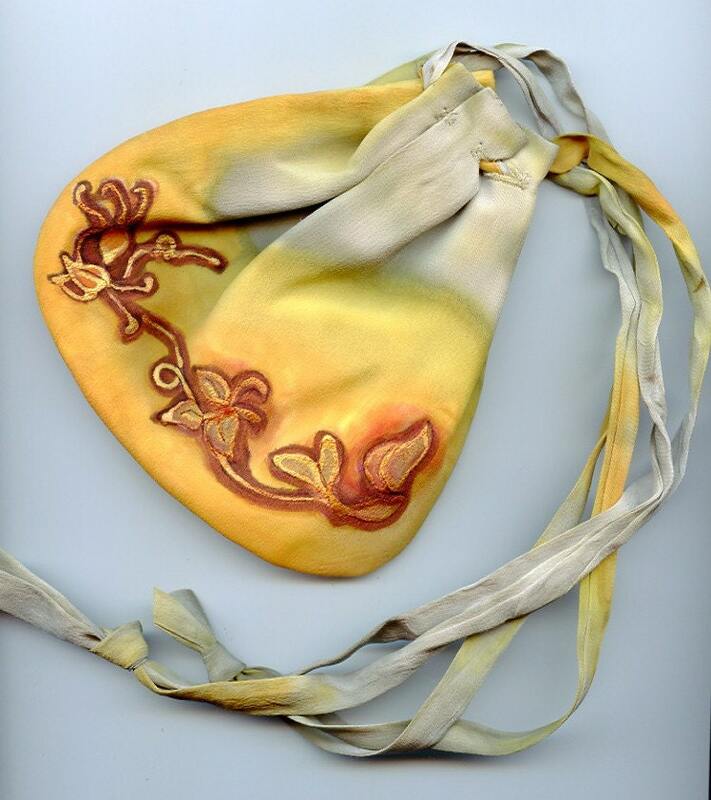 Janine of TalkingDog, for example, has designed this Hand Painted Silk Drawstring Bag that can be carried to formal events or tied to a casual jeans pocket. 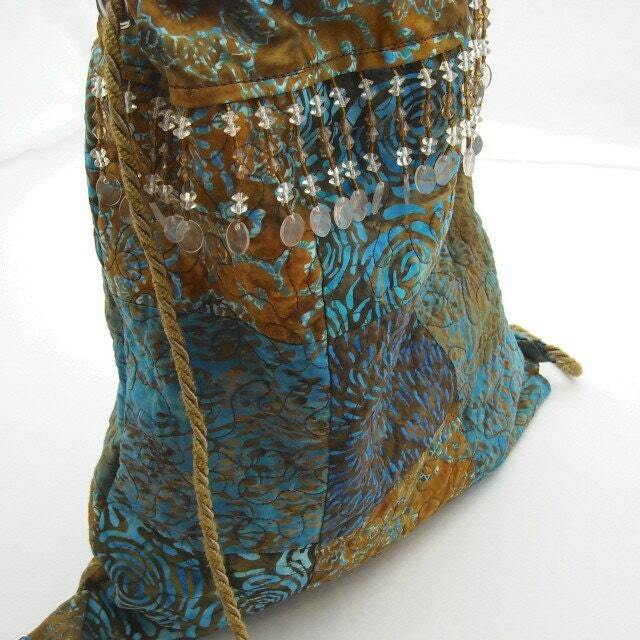 This gorgeous Tina Brown and Blue Batik Quilted and Beaded Bag by Kym of kimbuktu is both a shoulder bag and a backpack. 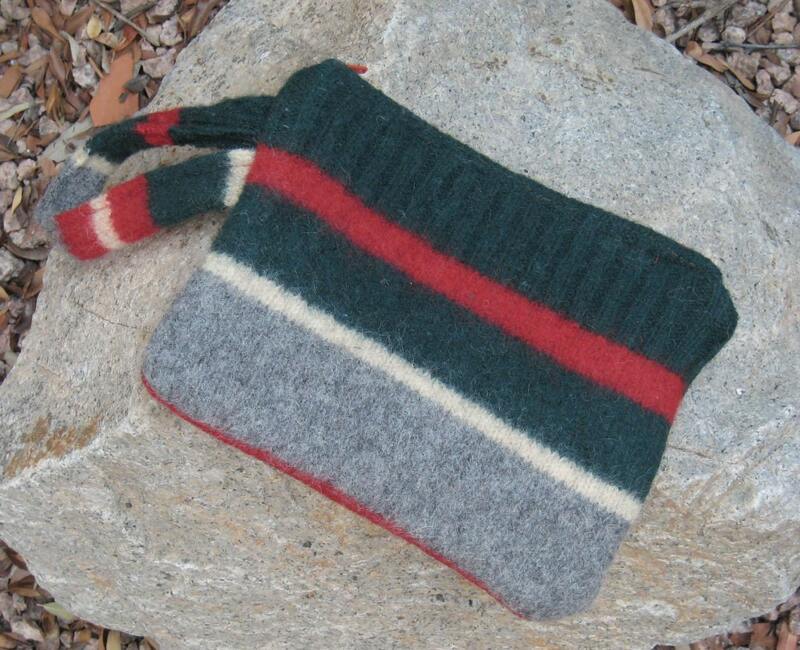 HomeMadeOriginals has repurposed part of a striped wool sweater to fashion this Wristlet bag, perfect for your cell phone, keys and credit cards. 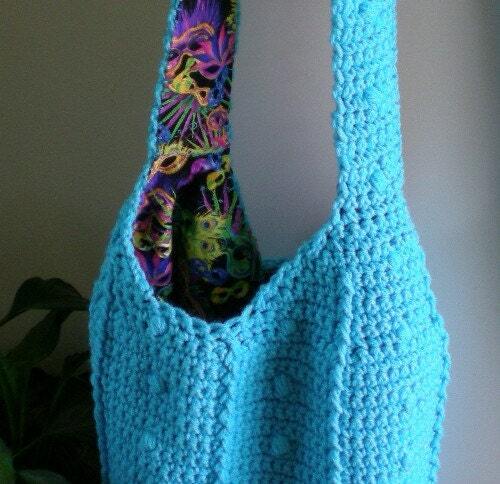 This crocheted Teal Hobo Bag by Pam of bagsandmorebypam is the ideal tote for the market, the beach, school, the plane, or shopping at the mall. 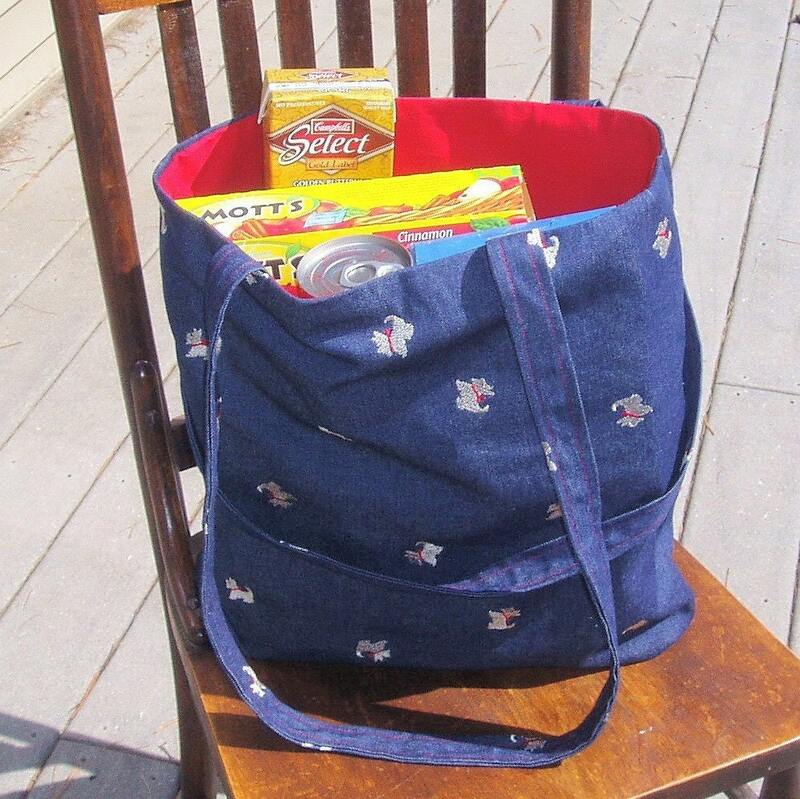 Dayna of scottieacres designed her Helpful Hannah Tote in Embroidered Denim “to go anywhere but be stylish as well.” The roomy tote holds just about anything, but also features a tiny inside pocket for keys, wallet or an electronic device. 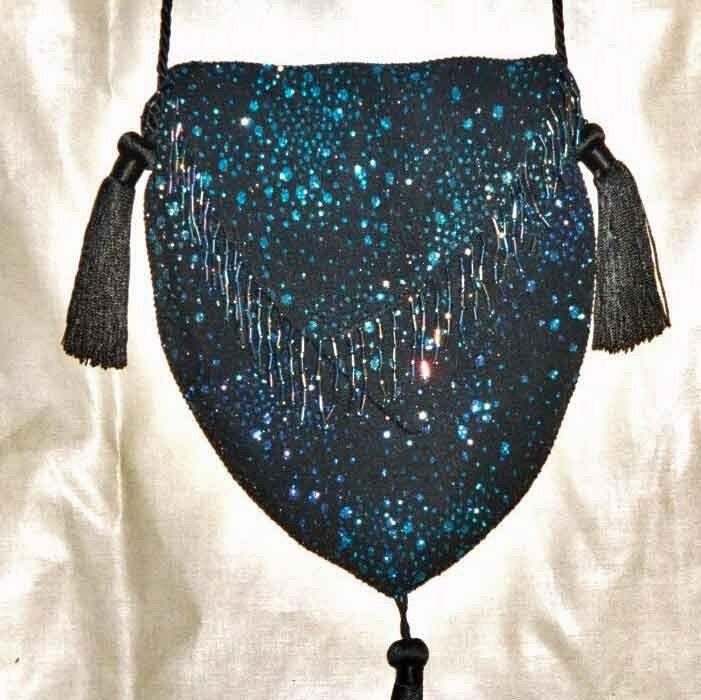 This Bling Bling Black Evening Bag by NoDuplicates is probably not too different from the reticules carried by noblemen and their ladies during the Middle Ages. 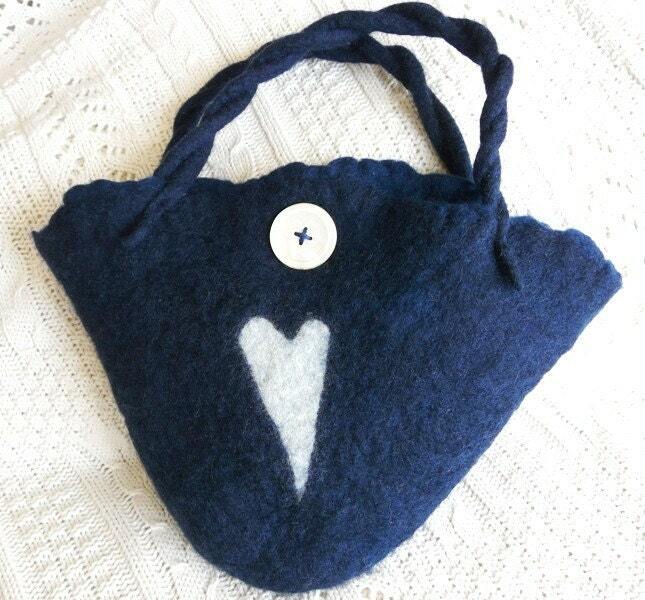 Finally, this Bag with Heart Wet-Felted Blue Purse by Chrissie of makeyourpresentsfelt is a perfect example of a casual purse for daily essentials, intended to be carried by hand. 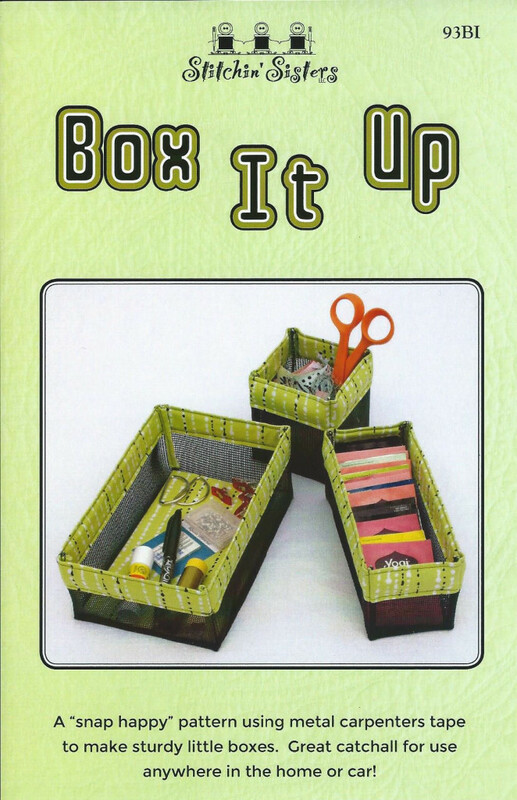 © 2008 Judy Nolan. All rights reserved. Please note that the images in this post are owned by the artists and may not be used without permission. 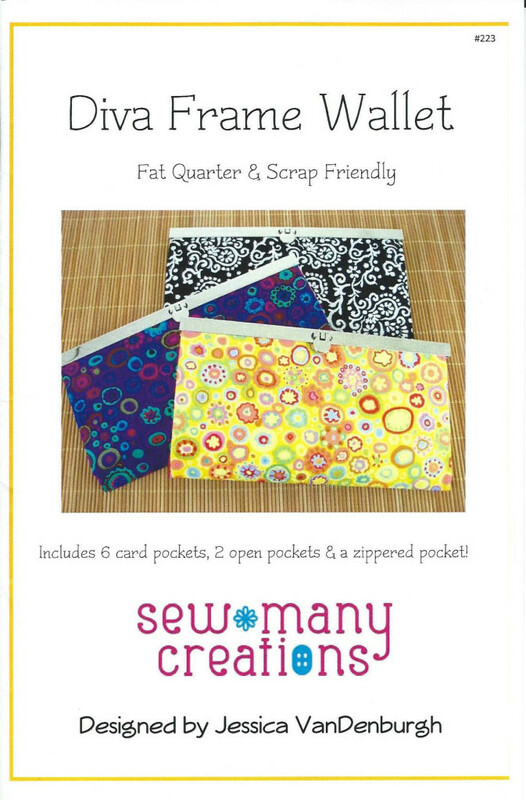 Simultaneously published at http://boomersandbeyond.blogspot.com.